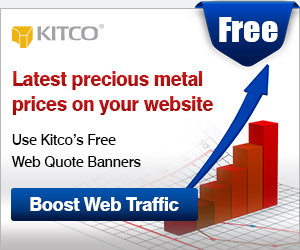 March 22 (Reuters) - Gold extended losses on Friday, moving further away from a three-week peak hit in the previous session, as appetite for riskier assets improved on upbeat U.S. economic data, while the metal was still on path for a third straight weekly gain. * Spot gold was down 0.1 percent at $1,308.26 per ounce as of 0119 GMT, after touching its highest since Feb. 28 at $1,320.22 in the previous session. * The metal has risen 0.5 percent so far this week and is on track for a third consecutive gain on a weekly basis. * U.S. gold futures were flat at $1,307.50 an ounce. * Asian shares advanced on Friday after upbeat data and optimism in the tech sector lifted Wall Street stocks, helping calm some of the jitters sparked by the U.S. Federal Reserve’s cautious outlook on the world’s biggest economy. * U.S. data showed jobless benefit applications fell more than expected while mid-Atlantic factory activity rebounded. * The dollar largely held onto the previous session’s gains in early Asian trade on Friday, while sterling edged up on news that Britain could leave the European Union without a Brexit deal at a slightly later date. * Britain could leave the European Union without a Brexit deal on April 12 if lawmakers fail next week to back Prime Minister Theresa May’s agreement with Brussels, EU leaders said after a crisis summit in Brussels on Thursday. * Prime Minister Theresa May on Friday welcomed the European Union’s decision to delay Brexit, saying that lawmakers in the British parliament now had clear choices about what to do next. * The Bank of England kept interest rates steady on Thursday and said most businesses felt as ready as they could be for a no-deal Brexit that would likely hammer economic growth and jobs. * A U.S. trade delegation headed by Trade Representative Robert Lighthizer and Treasury Secretary Steven Mnuchin will visit China on March 28-29 for the next round of negotiations, China’s commerce ministry said on Thursday. * The United States imposed sanctions on Thursday on two Chinese shipping companies it says helped North Korea evade U.S. and international sanctions over its nuclear weapons program, the first such steps since U.S. President Donald Trump and North Korean leader Kim Jong Un’s summit collapsed last month. * Paulson & Co Inc, which holds 14.2 million Newmont Mining Corp shares, will not support Newmont’s planned $10 billion takeover of rival Goldcorp Inc as the premium offered is unjustified, the investor said in a letter on Thursday.